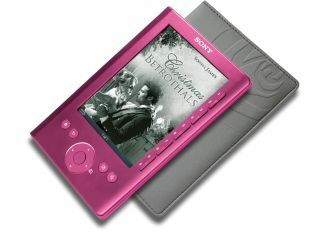 Sony will launch a Mills & Boon version of its Pocket Reader – bringing the world of trashy romance to the high tech land of the eBook reader - on November 24. Sony has high hopes for its eReader, with the Pocket Reader version the cheapest version from the manufacturer, and is hoping that a special edition will bring it to a wider audience. The Mills & Boon version – billed as an ideal present for mothers, wives, sisters and girlfriends – comes with a fairly predictable rose pink finish and a premium case. Plus, you'll get three Christmas themes Mills & Boon titles - Snowbound: Miracle Marriage, Under The Boss's Mistletoe and Christmas Betrothals – and a voucher for another ten. "Harlequin Mills & Boon is the world's leading publisher of romantic fiction, with a Mills & Boon book sold every 3 seconds in the UK," says Sony. "Established for over 100 years, Mills & Boon promises readers glamorous locations, irresistible heroes and – of course- a happy ending." Of course, it could be just the thing to smuggle a new bit of tech into the house under the banner of romantic fiction.